Howdy all. No – I’m not IN Lahore. But it’s a city that has been recently on my mind for a couple of reasons. And … I’ll start with Doctor Who, because I think that’s what started this whole thought cycle in the first place. 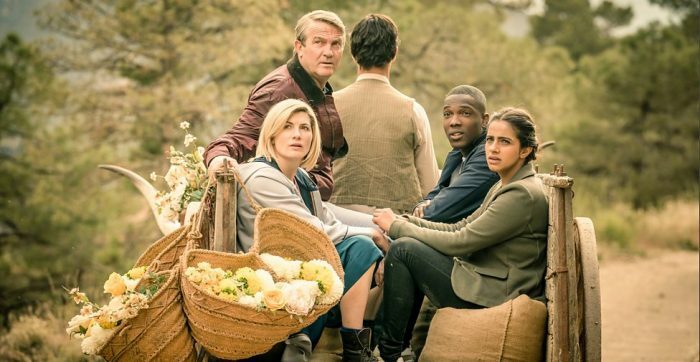 The sixth episode of the latest series of Doctor Who was called ‘Demons of the Punjab’, and was set in (perhaps unsurprisingly) Punjab. In 1947 to be more precise, the time of the partition. It’s set well, mostly in the hills and forest around a little shack where a Hindu man is about to marry a Muslim woman. Actually it’s very well done in most respects apart from having a needless alien put into the mix and being filmed somewhere which didn’t really remind me of Punjab at all. It was shot in Spain, which is a pretty good choice if you’re looking for a location to replicate northern India not too far from the UK, however it still ended up being somewhat too green and verdant. The ride from Amritsar to Lahore is really very very dry and desolate, although in the winter months it can be quite cool. It’s strange how little things like affect one’s suspension of disbelief. The other teething issue I had was it’s lack of people, India/Pakistan – there are always people (well it feels that way) wherever you go. Spoilers if you haven’t seen it but want to – there’s a lynch mob at the end and it’s only like four people. The partition was a horrid time in Earth’s history, an event not even vaguely adequately planned for by the colonial British on the pretense that the Muslims in ‘Hindustan’ wanted their own country. What resulted was a desperate rush for people near prospective borders to rush to the parts where they would be in the majority. Violence erupted on a massive scale and over a million people died. The best movie I know about this event is this amazing film called ‘Earth’, a 1998 film by Deepa Metha. It’s a Canadian/Indian production. 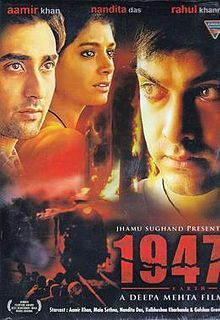 It’s set in Lahore (but filmed in Delhi I think) and it really is quite confronting. There’s some alarming violence in telling the story of a girl with polio living with her family in Lahore. She is Parsee, that is her religions is Zoroastrianism. Her family stays neutral as fights break out between Muslims, Hindus and Sikhs. Her nanny is Hindu, the friends she hangs out with are a mix of the three main religions in Punjab. As the partition draws nearer violence becomes more frequent. A train arrives from Indian Punjab of Muslims relocating to Lahore, everyone on board has been slaughtered. As the day of partition arrives an angry mob comes to the Parsee house to drag the Hindu nanny away. It’s an interesting approach, and it doesn’t, at least in my eyes, seem to favour any particular side or make one side seem like they were in the ‘wrong’ as it were. 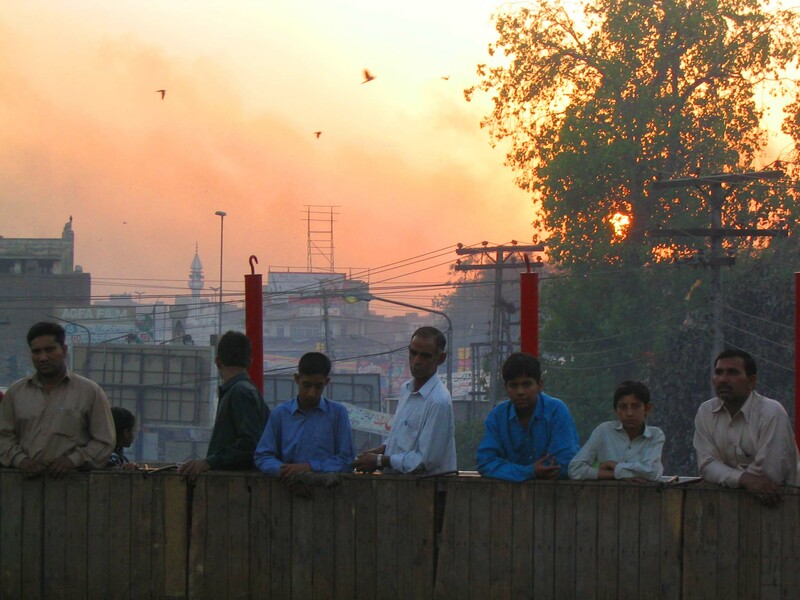 This year, in my habitual Doctor Who ‘Fan Fiction’ making, friend of the blog Tim Blight has taken time out whilst in Lahore to shoot a few scenes for one of the stories this year. So Lahore has been on the mind. Even memories of the city back in 2004 when I visited, coming by auto rickshaw from Amritsar. There definitely is something about Pakistani cities that feels noticeably different, even if I am unable to define what it is. But Lahore could be mistaken for an Indian city. It’s so close to the border. Amritsar was about 34km I think from the border, Lahore was closer. It’s an incredibly chaotic place, so furiously busy but with open spaces and garden when you know where to find them. Highlights include the Badshahi Mosque and the Lahore Fort, which are not in the centre of town. So anyways, it seems my memories are murky at best of Lahore. But it’s a really interesting place with a dark history. 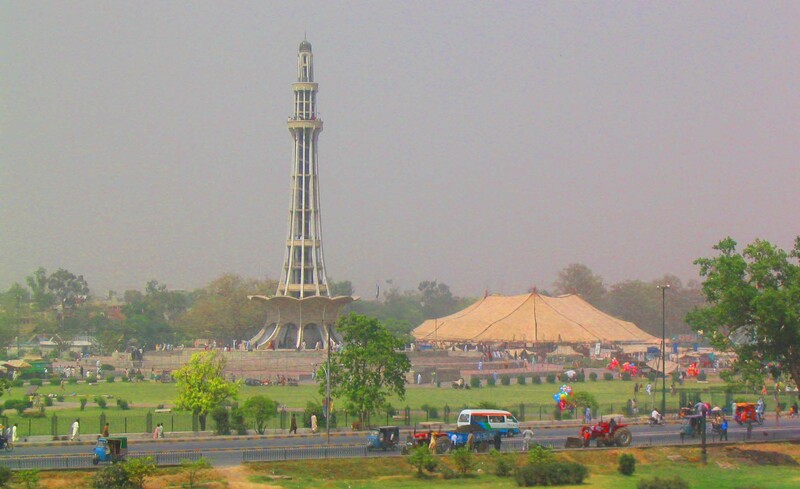 And it’s also a really great to visit – there is something you instantly like about Lahore when you visit! Thanks for entertaining my ramblings today! And do check out both ‘Demons of the Punjab’ and ‘Earth’. May the Journey Never End!